Click on the link for tickets and more information. 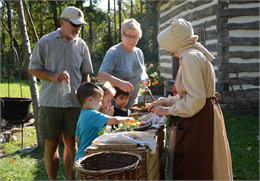 Come experience the harvesting, preserving, cooking, and community that comes with Fall Fun on the Farms! Everyone can lend a hand, try something new, and sneak a taste while exploring the past like never before. This is not your typical fall family farm experience! Go on a time travel adventure and experience how your favorite Wisconsin foods and drinks today were made over a hundred years ago! Lend a hand in our bustling farm kitchens and make cabbage into sauerkraut. See the power of 19th- century machines, pulled by horses, harvest grains and plow fields. 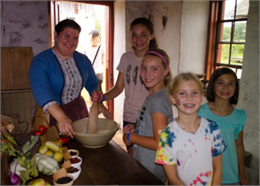 There’s fun for everyone this fall on the farms including beautiful Kettle Moraine fall color and hot apple cider. Activities change with each weekend. Click on the link for more information and to purchase your tickets today!